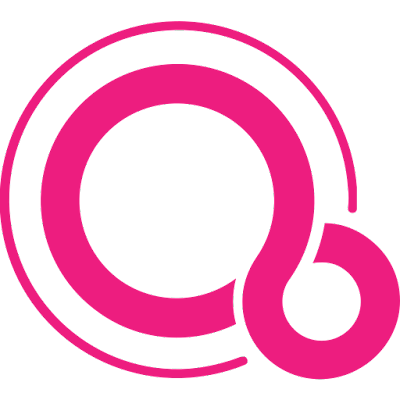 I have been following stories on Google's experimental Operating System known as Fuchsia, for quite sometime now - and for many of us it raises the question "Will it be the culminating OS for Google?". Whenever I look up Fuchsia, I look for any indications towards that big question. Well so far, we haven't learnt a lot... or have we? I saw an article recently which tries to point at some of the reasons that this new OS is not going to be a replacement. It's well written and makes some valid points. But I'd like to believe otherwise, and I'm going to try and explain why. Okay first, some things we already know about Fuchsia. It does not use the Linux kernel, but uses a microkernel named "Zircon". It's NOT one of those Google's 20% project according to one of Fuchsia's developers and it's built not only for modern phones and computers, but also for embedded devices like car infotainment systems. It's being tried and tested on smartphones and more recently on a Pixelbook, as well. The apps are written on Google's Flutter SDK, that can be used to build cross-platform apps for Android and iOS. Fuchsia will support Dart, Go, Rust, Python and Swift programming languages. One thing that's definitely clear is that Google is super serious into turning Fuchsia into a full-fledged product. I mean, could there be a more telling reason of adopting the Swift programming language other than trying to attract iOS developers? Of course, for it to replace Android and Chrome OS, dear mother Google will have to take care of a few important things first and it has been right on track in doing just that. Google's homegrown design language will just be perfect when the users make the transition to Fuchsia. It will bring an obvious familiarity to the OS for people coming from Android. With the APIs being written from scratch, Google can learn from Android's mistakes and bring great enhancements to usability and resource efficiency. Okay everything sounds hunky-dory rainbows so far, but there is no denying that building a successful app store is not a daunting task. By a successful app store, I mean excellent developer backing, app numbers bigger than Apple's (from the last report) and app revenues growing from strength to strength. It would be the worst tech decision of the decade if Google threw all of that away. Well, may they don't have to. I'm suggesting that Google could just port Play Store over to Fuchsia as we all know they can do that. Sure, there would be a lot of qualms in the beginning, but as soon as developers begin to realise that it is in their best interests to use native APIs for their apps they would readily update them. If you're wondering about apps on the Chrome Web Store, they are already dead for the Chrome browser, leaving the store with just extensions and themes. They are still available for the Chromebook for now, but Google has been putting a lot of efforts in pushing the adoption of Play Store and also Progressive Web Apps. When you look in terms of marketing, there are few things that shout "Android" or "Chrome OS". Android Wear, Android Auto, Android Pay, Android Things and Chromebook (there maybe others, but these are the ones that popped in my mind). Two of the brandings mentioned above are already dead in the water. Recently, Google announced that it will combine Android pay and Google Wallet into one single app called Google Pay and while "Chromebook" is still ubiquitous amongst third party manufacturers, Google itself replaced the original "Chromebook Pixel" with a simpler "Pixelbook". So if you see Android Auto being rebranded in the near future, take the hint. Why go through all of this hassle of bringing about an entirely new operating system when there are two great ones in the bag already? There maybe plenty reasons for this, but ask me one — Fragmentation! No matter what Google tries, Android's fragmentation problem will just not die. I don't exactly know how Google will try to fix that with Fuchsia, but if it doesn't figure out a way, I actually see no point of a new OS at all. There are of course other problems. Android and Chrome OS make use of the Linux kernel. This is a bigger problem for Android than for Chrome OS, as Linux was never meant for smart devices that we use today. Don't get me wrong - I am using a Linux machine, myself - but the Linux code can only be tweaked a certain amount to deliver the best possible performance and efficiency for your smartphone. There is also the fact that Microsoft is raking in billions in revenues from Android OEMs that make use of its patents. There maybe just too many problems for Google to fix. That, combined with a chance to build something even better is an idea that's just too tempting. With a solid plan to never have to see those dreadful Android fragmentation pie charts, Fuchsia might just be the sweetest dessert in Google's kitchen.